Brief Synopsis – A forger and his granddaughter enlist the help of a professional thief to help steal a copy of a priceless piece of art before it is examined which will lead to their undoing. My Take on it – When Kim recommended this to me, I was quite surprised that I had never heard of this one before because it fits the genre of crime caper/comedy that I have always enjoyed. The fact that it was directed by William Wyler was the real clincher for me to want to watch this film. 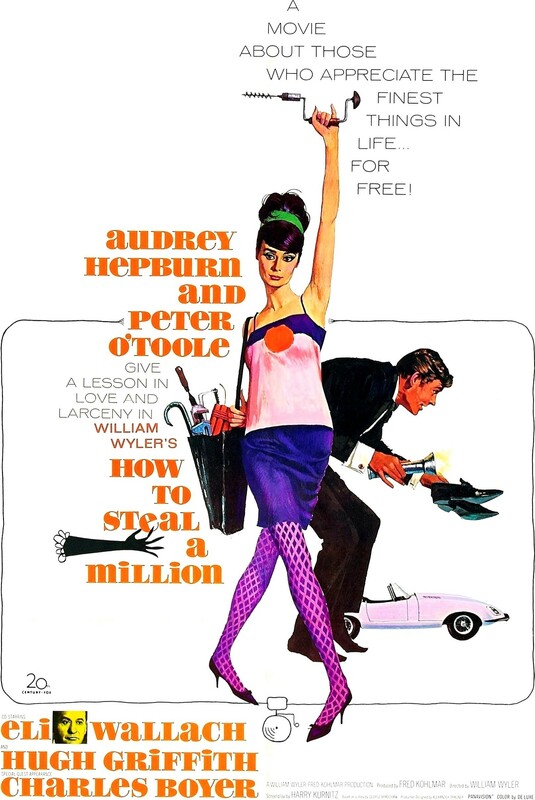 The leads played by Audrey Hepburn and Peter O’Toole are both portrayed very well and they have great chemistry together. I loved watching this caper slowly unfold as the film progressed because it seems like they had so much fun making it. There are so many small threads that seem insignificant to the plot that are slowly absorbed as the plot moves along and it makes things quite interesting to observe happen. The plot is actually extremely clever and certain parts would no longer work in a script today because of advances in technology, but suit this film’s time frame extremely well. Eli Wallach, Hugh Griffith and Charles Boyer are all great in supporting roles. Bottom Line – Hepburn and O’Toole are great here and have fun chemistry together. The plot moves quite smoothly and there are enough laughs to make it even more fun then it probably should be. Loved watching this whole caper unfold and they are able to connect so many threads that are picked up along the way. Great supporting cast helps things move along very well also. Recommended! If you don’t follow MovieRob, remember to follow him and check out his awesome reviews!